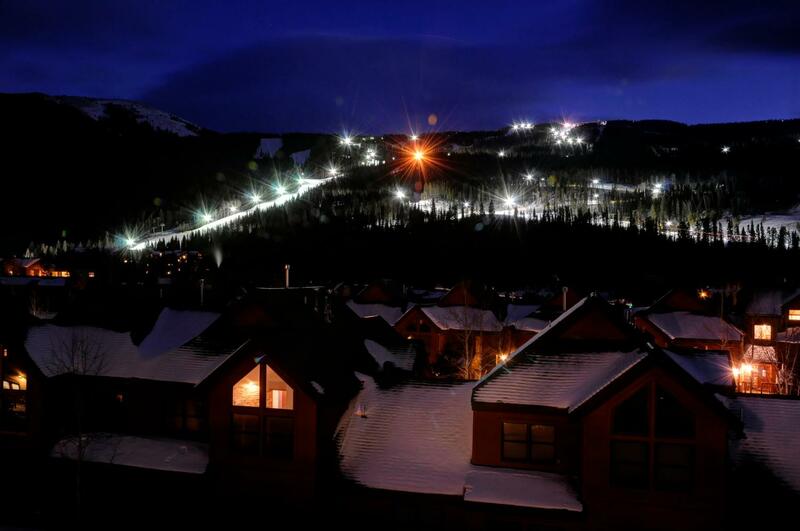 Unit 5093--View of night skiing lights from a total of 4 rooms and the deck. 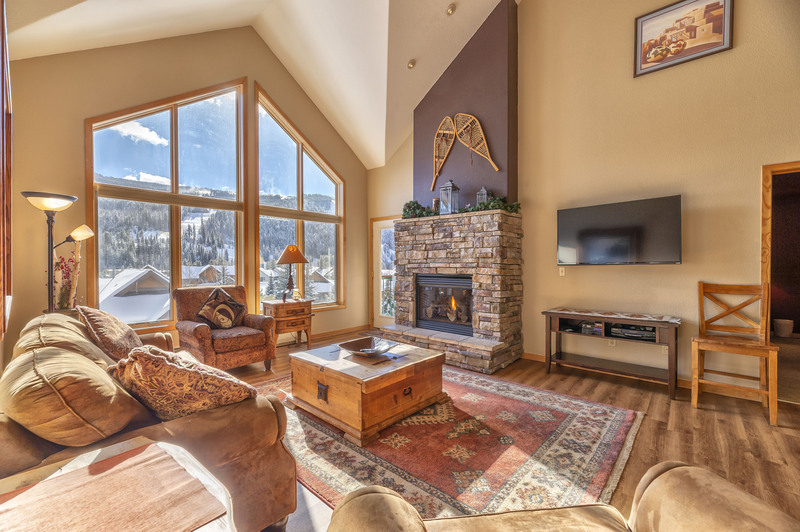 Direct unobstructed view of the ski runs from 2-story windows. Main living area with stone fireplace, flat screen TV, and Queen fold out sofa. 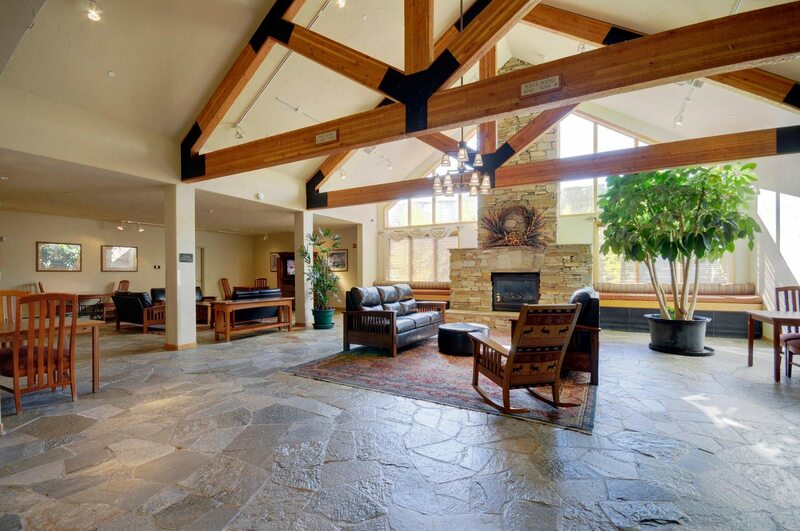 Main Great Room area (fireplace; flat screen TV; Queen fold out). 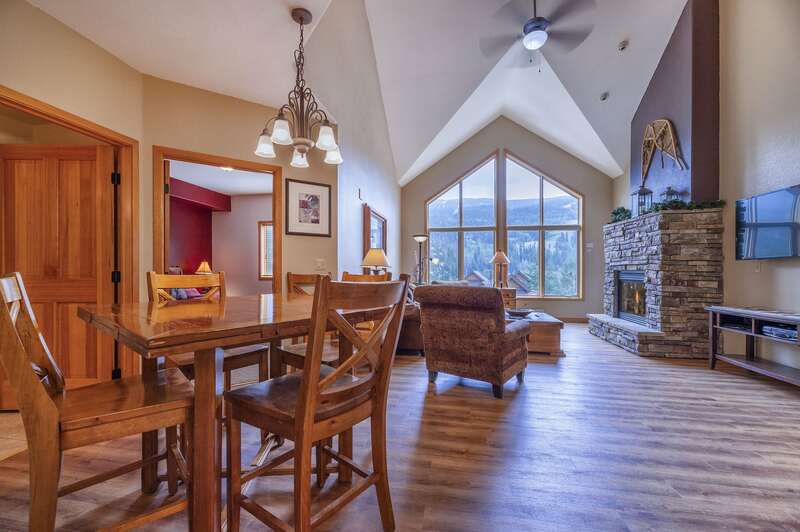 Reverse view looking back toward Loft area. 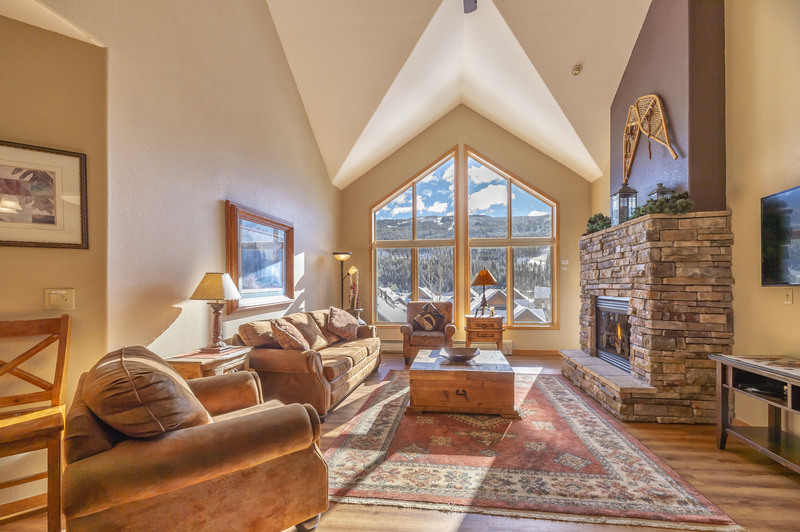 Mile-wide view of the ski runs from living room, 4 bedrooms, and deck. Kitchen with all major appliances, microwave, automatic coffee maker, and cooking supplies. 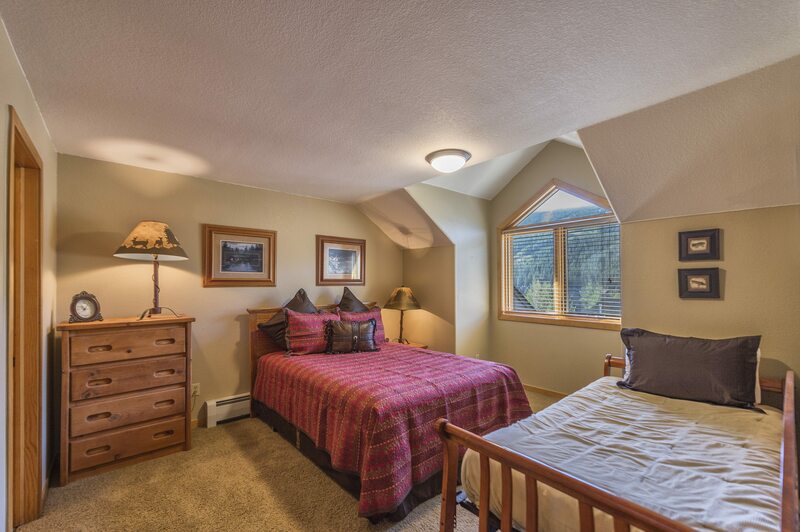 Bedroom 1 with King bed, TV2 (upper left corner), private bath, access door to deck, and ski run view. Bath 1 (private to Bedroom 1). Double sinks. 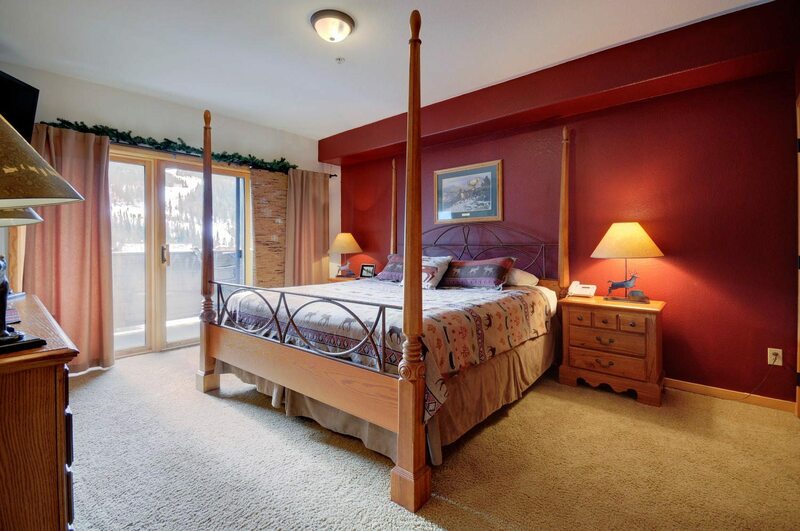 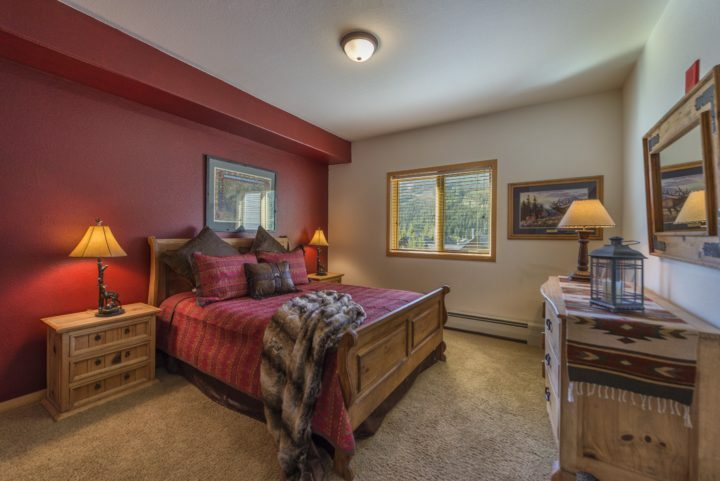 Bedroom 3 (Queen bed + Twin bed; ski run view). 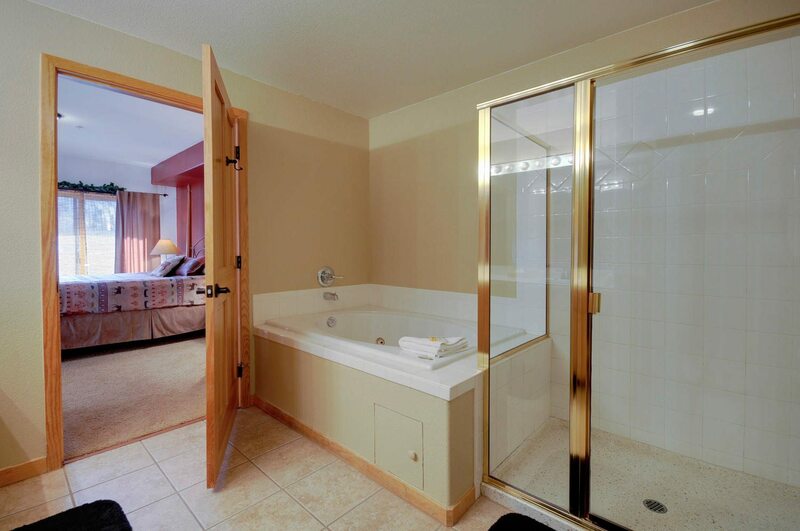 Private door to Bath 3. 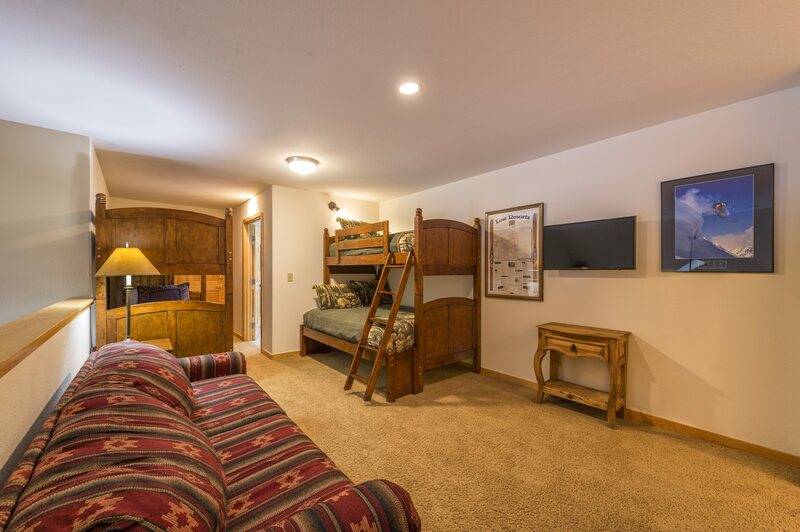 Loft Bedroom (Double bed + 3 Twins + Queen fold-out). 4th TV with seating area. Gateway heated pool with large hot tub section (foreground). BBQ grill and picnic table outside. 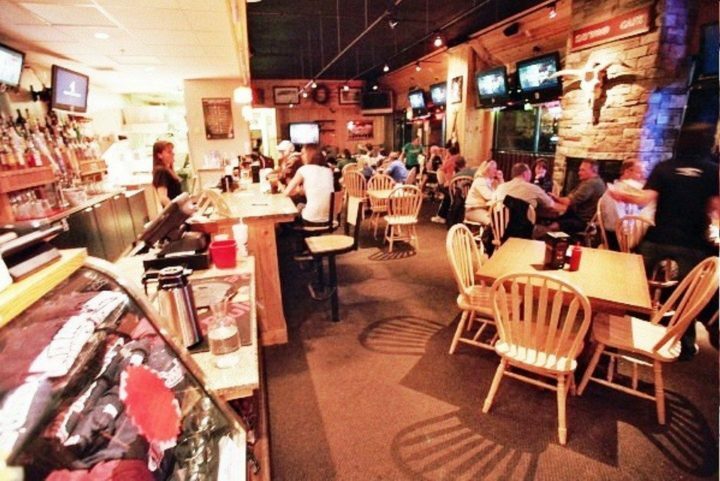 Haywood Cafe (internet/sports cafe with 12 flat screen TV's and kids video game area). Open 7AM-10PM. 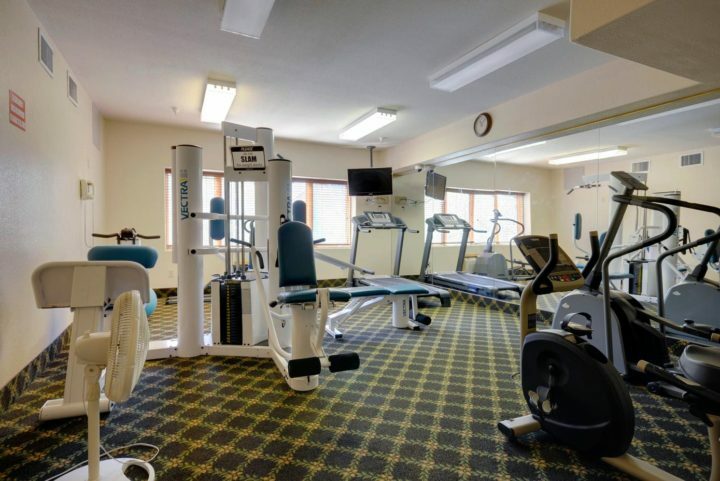 Exercise facility in the building (no charge). 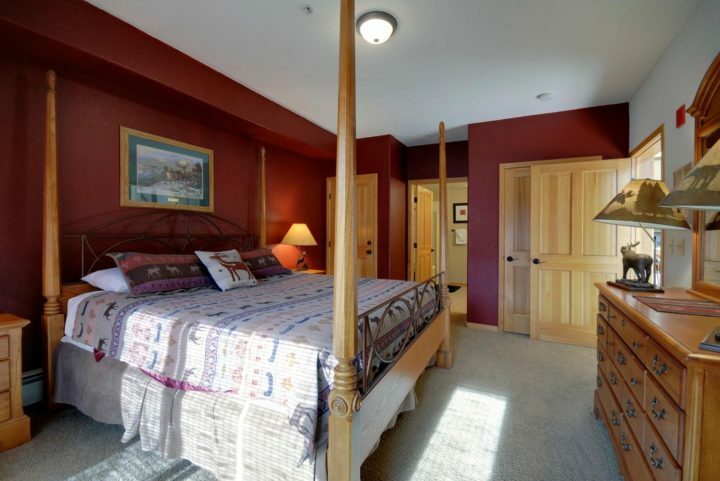 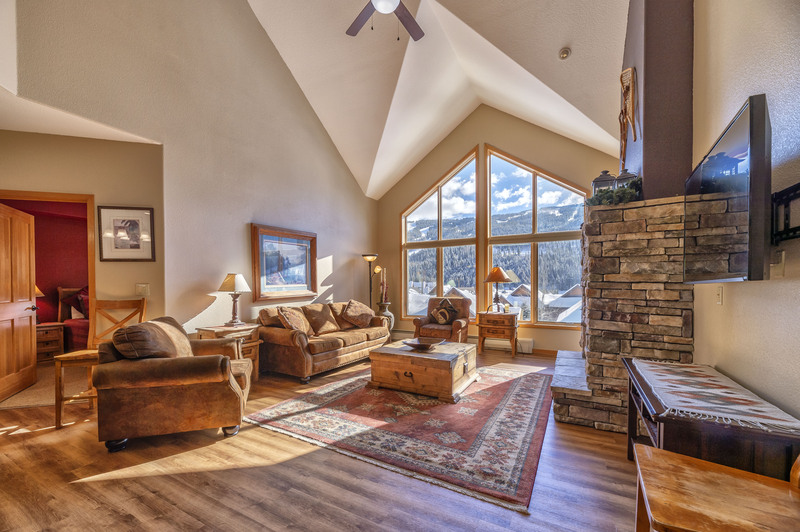 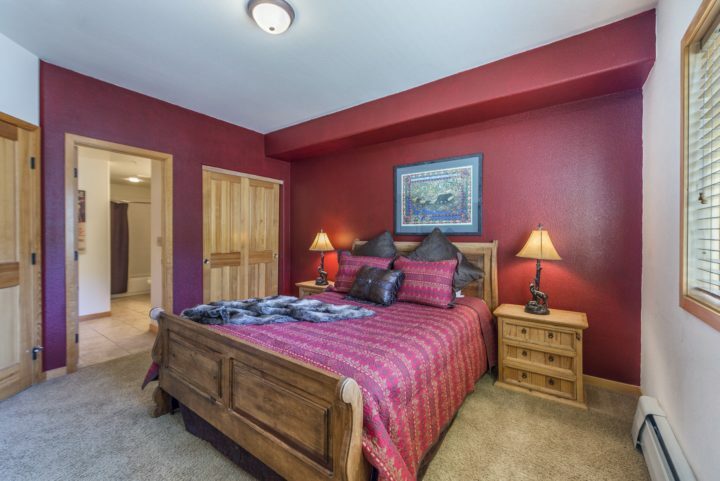 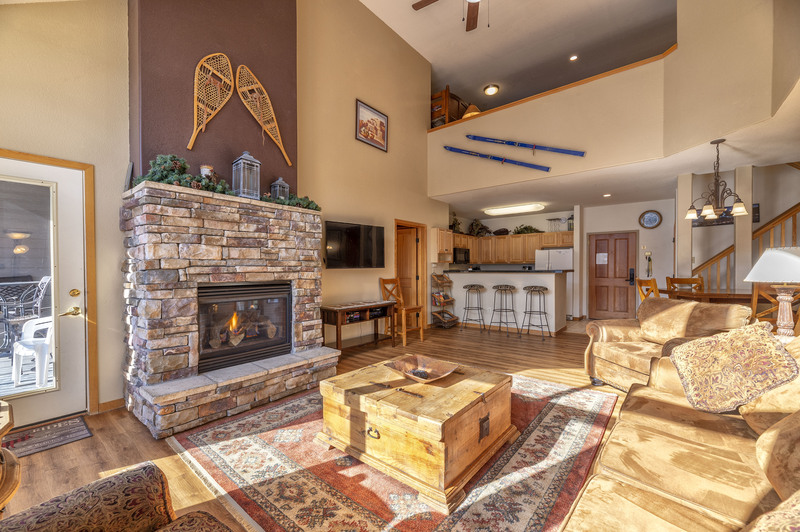 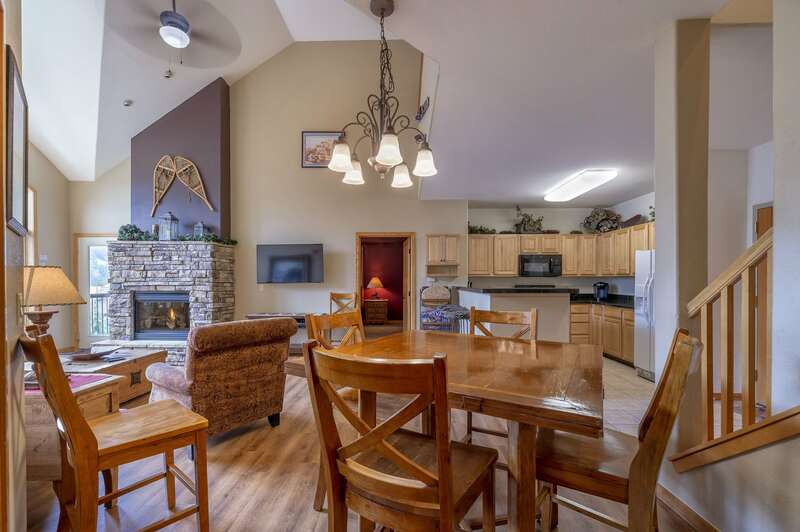 Gateway Mountain Lodge 3BR + Loft BR / 4 Bath (sleeps 13-17; 8 separate beds). 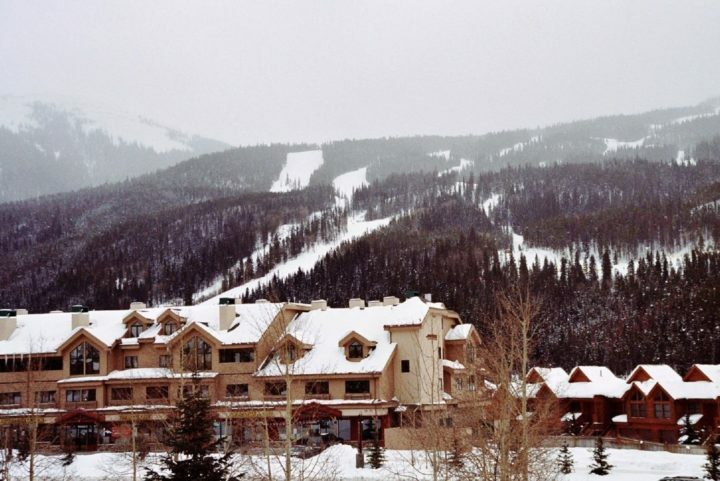 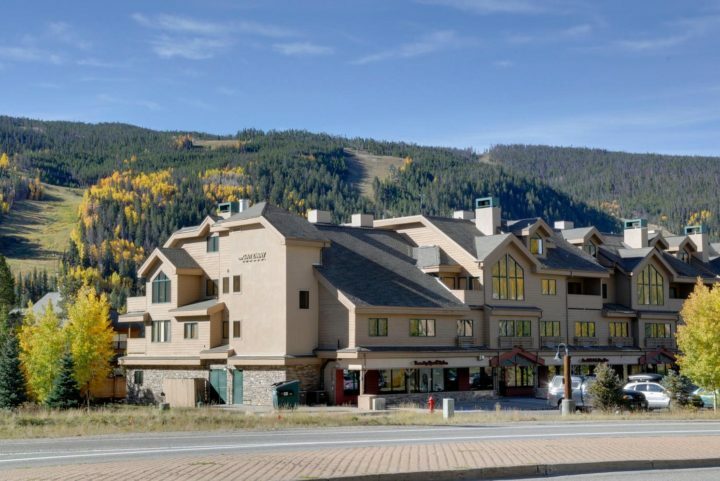 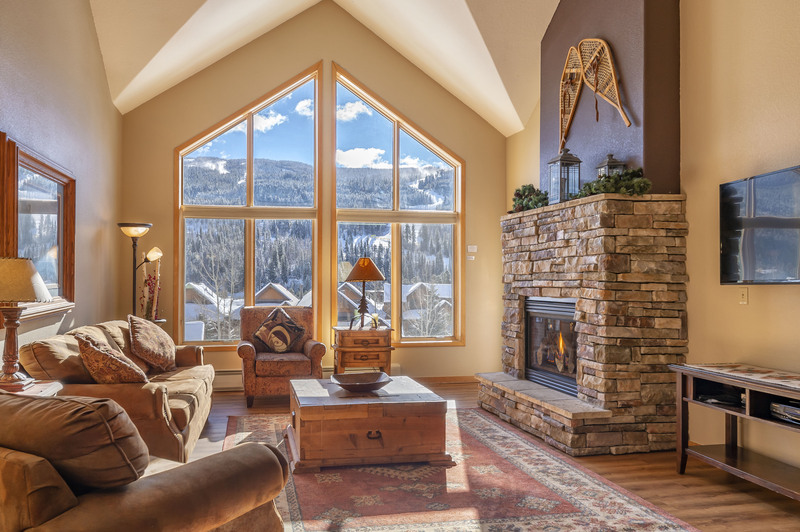 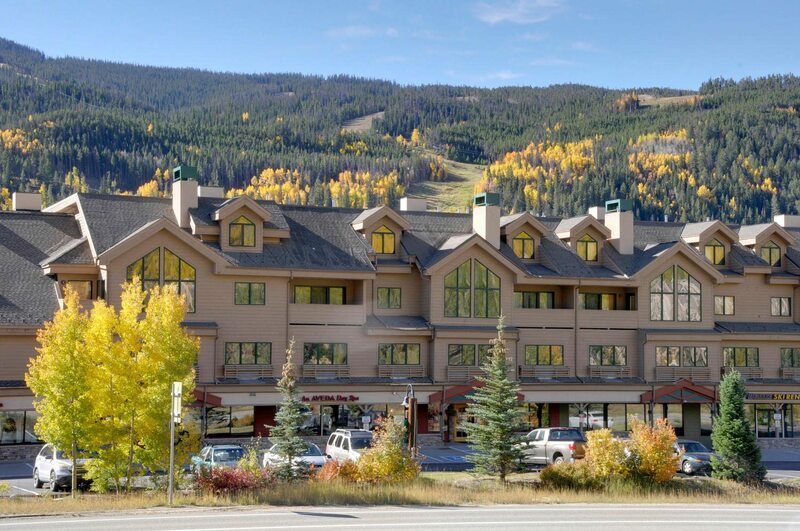 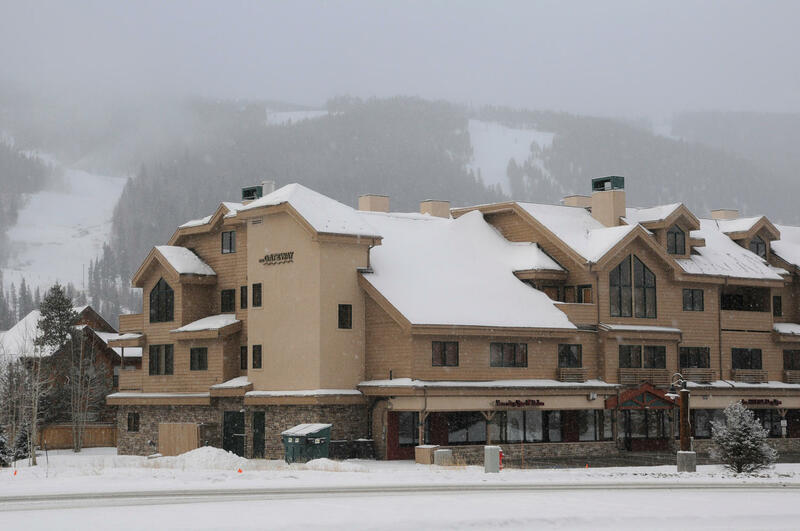 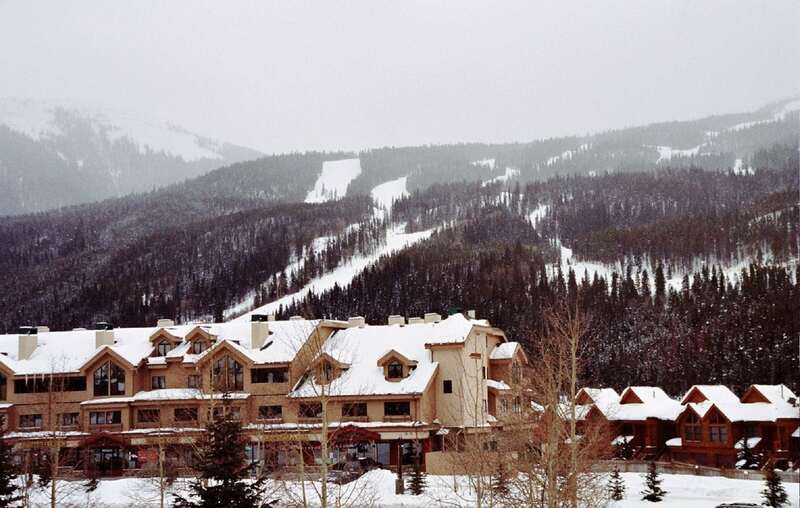 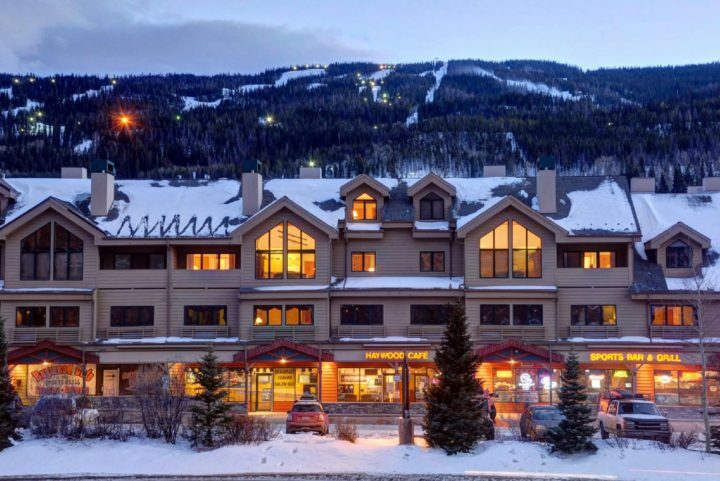 Located at the entrance to River Run Village, Keystone’s premier neighborhood with lots of shops, restaurants, kids activities, and the new 8-passenger gondola. 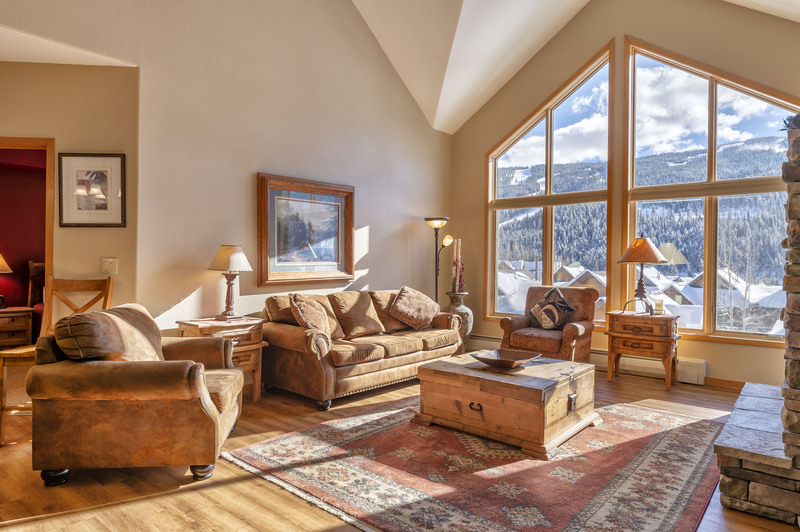 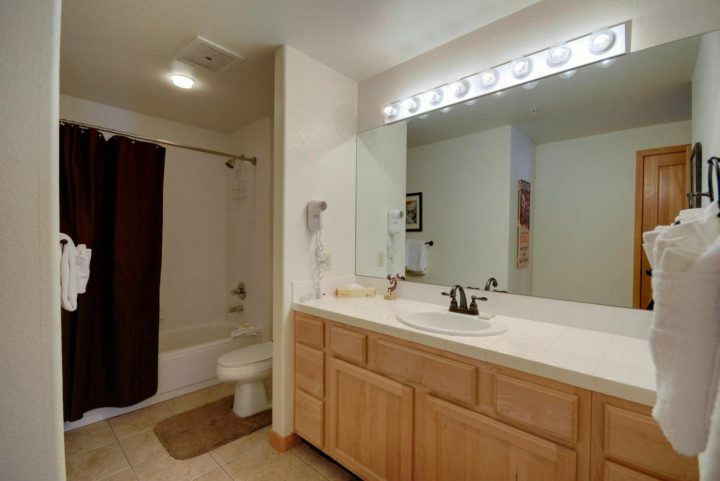 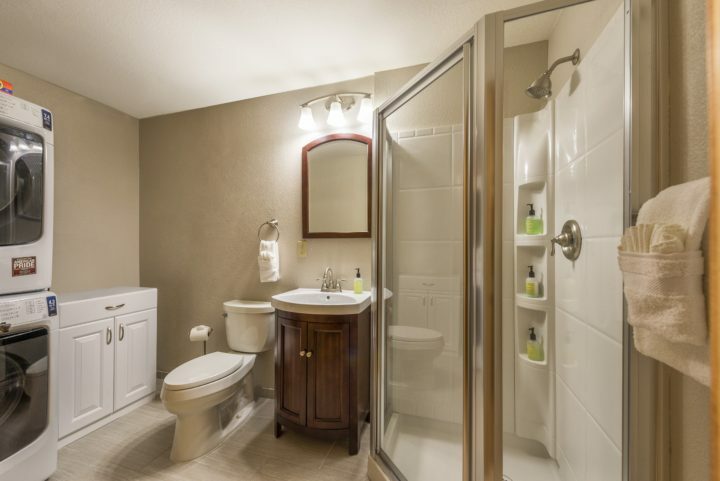 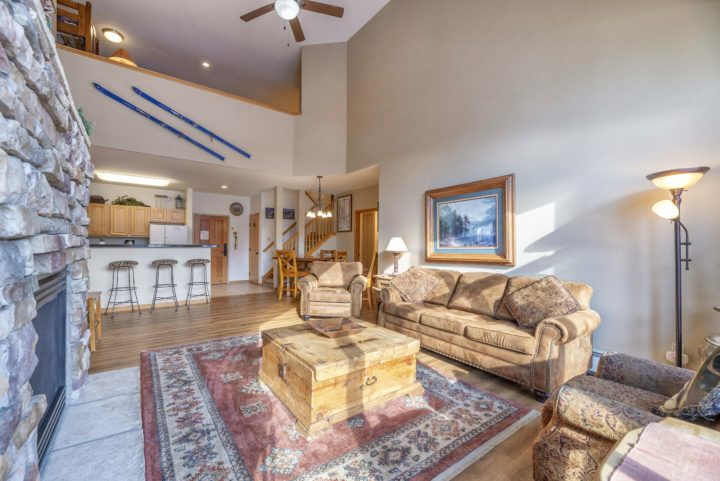 This is a top floor unit with high ceiling and 2-story windows facing the ski runs—panoramic mountain view (day & night—night skiing lights). 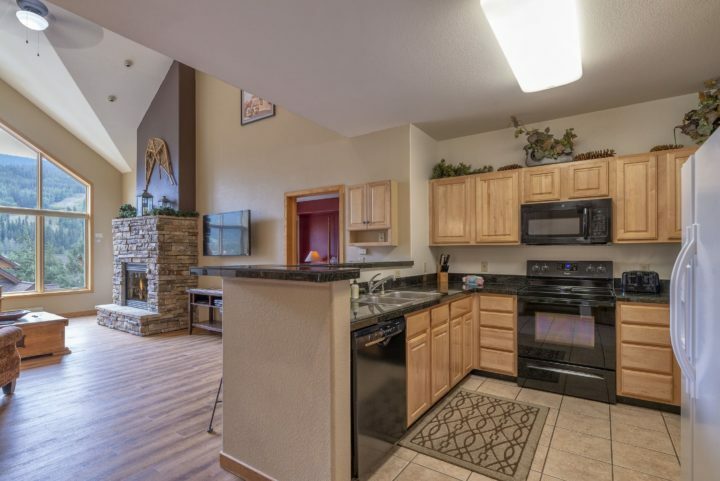 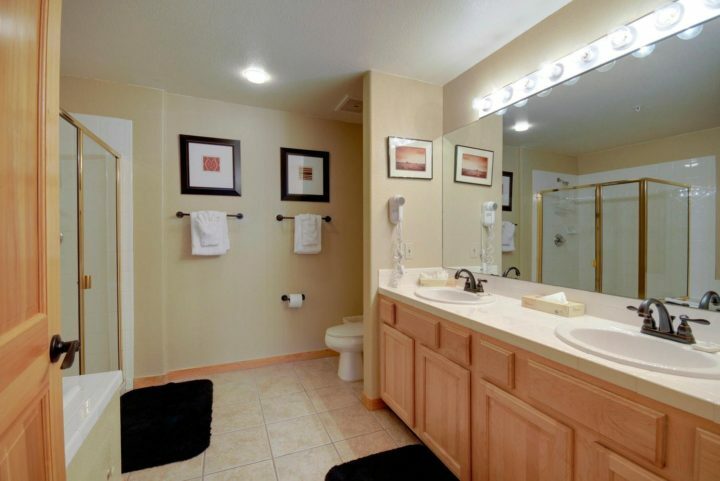 Fully-equipped kitchen with all major appliances. Washer/dryer in unit. 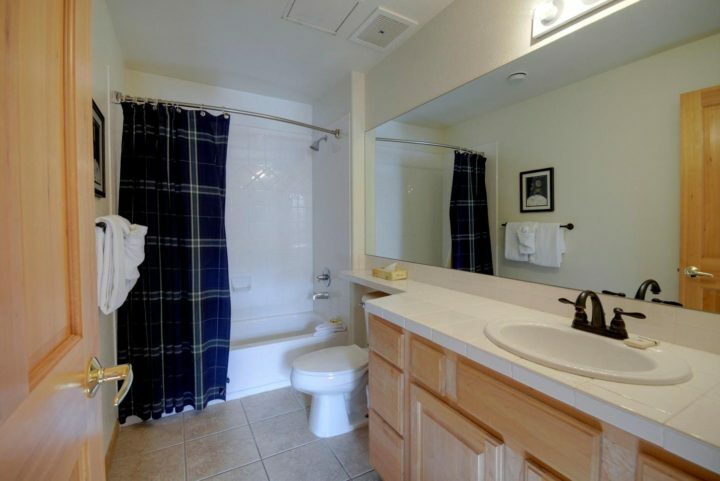 Free Wi-Fi in unit. Free underground parking garage (elevator service all the way—no steps). 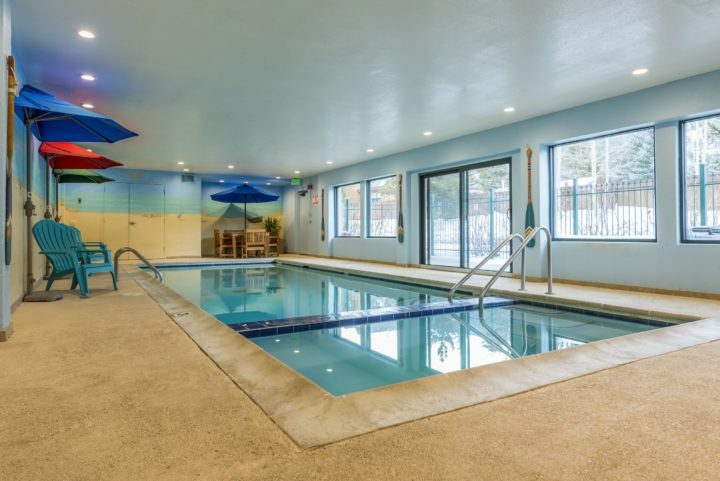 Gateway is the most popular building on our rental program: internet/sports cafe (12 HDTVs + extra laptops—popular with kids), heated pool, hot tub, exercise facility, convenience store, and full service day spa on site (massages, facials, etc.). 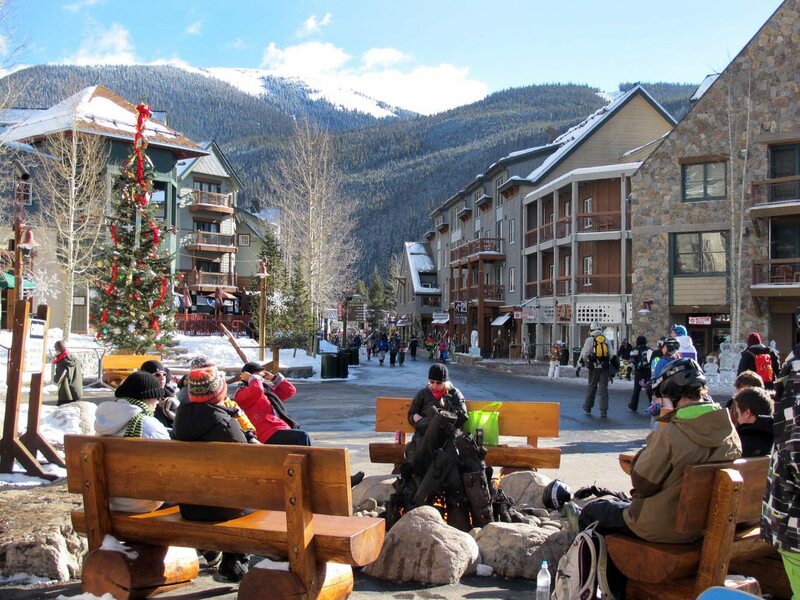 Plenty of activities for both adults and kids day and night. 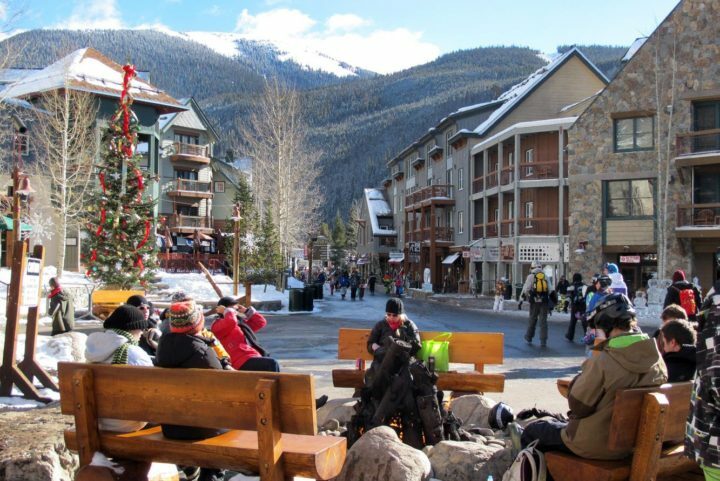 Walk to several restaurants and night spots with live music. The unit also has a portable twin futon—can be put in any room. Extra linens provided for two fold outs and futon.